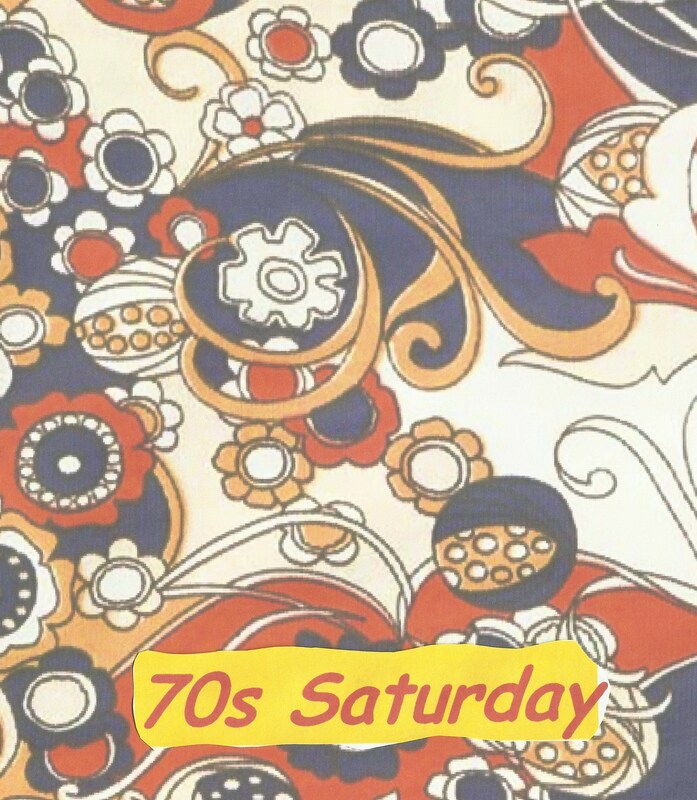 The idea of the 70s theme is that once a week I shall take a look back to 1974, 40 years ago. I shall do this using my diary from that year, when I was 15 going on 16. To begin, I would like to tell you about where I was living and who I was living with. 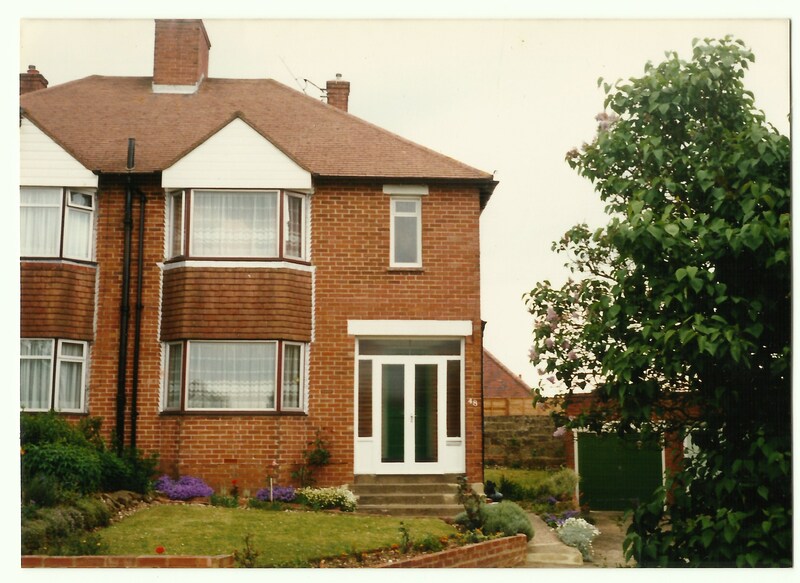 I was living here, a three bedroom semi-detached house, with garage (we didn’t have a car, we rented out the garage). We moved here in 1963 when I was five years old. The house didn’t have the front porch at that time, it was added later. I lived here with my parents; Gordon and Enid Dinnis. Woodingdean is a small town on the outskirts of Brighton, up on the South Downs. One of the main things on my mind at the start of 1974 were the O Level examinations which were looming and which would shape my future. During January we were taking the mock examinations, the ‘practice’ ones which would prepare us for the real ones coming later in the year, and would also give us an idea of how much work we needed to put in, in order to pass these exams. The results were important, depending on what your plans were. I had no intention of staying at school a moment longer than I had to. At the beginning of this New Year my plans were to pass a minimum of three O levels, which would get me into the local technical college where I would study shorthand and typing. The school I was attending had gone through a big change at the start of the school year 1973 – 74. Instead of the Grammar school I had joined in 1969, it merged with the Secondary school next door to become Falmer Comprehensive. 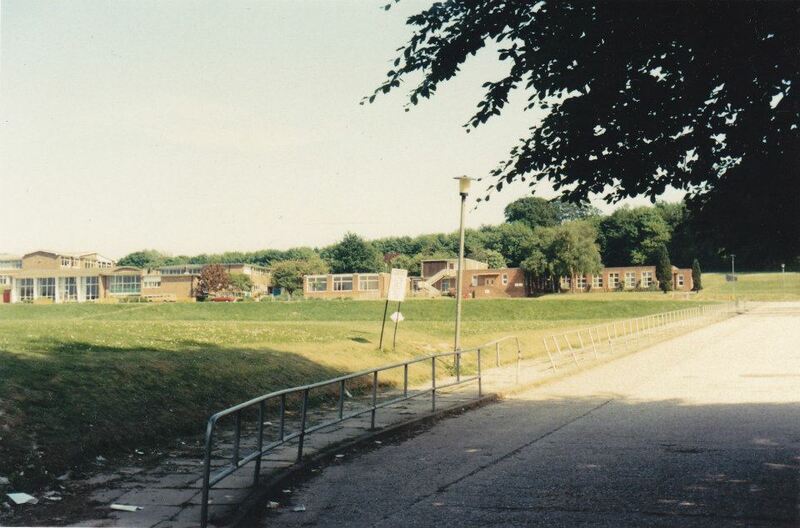 In the photograph below, you can see the school at the top of the lane on the left. Stanmer was on the right, it was a much older building. It was still two separate buildings, the 5th year pupils (my year) were sent to the ‘other’ school, where it was hard to feel welcome and at home. You can imagine it was very much a muddle, with everyone unsure of where the classrooms were and where everything was. I was a person who was very upset by any change, so this did affect me a lot. At least this gave me an excuse for my exam results, but more about that later! This entry was posted in 1974, DINNIS, Enid May Howells, Gordon Charles Dinnis and tagged Farm Hill, Westlain Grammar School, Woodingdean. Bookmark the permalink. I love this idea of 1974! I was married in 1975 and posted a photo and people loved my husband’s 1975 tuxedo :). The 1970s were the years of major happenings in my life. Army, Marriage, three children, and six deaths in the family. You have given me something to think about for my blog. Enjoyed your post very much.